What could be better than a magic cupboard that turns small toys into living creatures? Omri's big brother has no birthday present for him, so he gives Omri an old medicine cabinet he's found. Although their mother supplies a key, the cabinet still doesn't seem like much of a present. But when an exhausted Omri dumps a plastic toy Indian into the cabinet just before falling asleep, the magic begins. Turn the key once and the toy comes alive; turn it a second time and it's an action figure again. 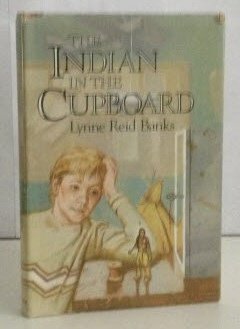 The Indian in the Cupboard is one of those rare books that is equally appealing to children and adults. The story of Omri and the Indian, Little Bear, is replete with subtle reminders of the responsibilities that accompany friendship and love. For kids, it's a great yarn; for most parents, it's also a reminder that Omri's wrenching decision to send his toy back to its own world is not so different from the recognition of their children's emerging independence. Add your reply to C.K. 12/19/2009 safa amed said: Lynne's ideas and imagination is great. Somehow, she turned a boring toy into life, and made the reader just keep wondering and read on.